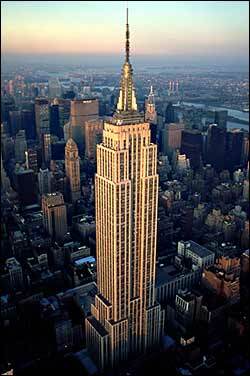 On March 17 1930, construction of the Empire State Building began. Under the direction of architects Shreve, Lamb & Harmon Associates, and a peak labor force of 3,000 men, framework rose at a rate of 4 ½ stories per week. The Empire State Building located in New York (USA) is recognized as a National Historic Landmark by the National Parks Services.